I bought squash blossoms this week-end at the farmers market. They only last a few days so I had to come up with a couple of recipes very quickly. Usually I stuff them or make them into a frittata. But this time I wanted to make something different. I decided upon a soup that would have a creamy base but with no milk or cream added. I’ve done this before in other soups by using a single potato. I started off by sautéing an onion, then adding chicken stock and a chopped potato. After the potato softens half of the squash blossoms are added and cooked a few more minutes. Then the mixture is removed from stove-top and blended until smooth. The base becomes silky and will have a light yellow color courtesy of the squash blossoms. The soup goes back into the pot and a roasted chopped poblano chili is added. Then the zucchini and corn. Simmer just a few more minutes until zucchini is tender and then add the other half of the squash blossoms reserving a few for garnish. Cook a few more minutes and that’s it you’re done. Scoop into bowls and garnish. This recipe has been adapted from Kitchen Konfidence.com for original recipe click here. In a medium-sized soup pot add olive oil and then onions. Sauté until soft. Add chicken broth and potato and bring to a boil. Turn down heat and simmer until potato is tender about 12 to 15 minutes. Take 7 squash blossoms and cut them into ribbons, then add to stock, simmer another 2 to 3 minutes. Since I left my immersion blender in Phoenix, I used my blender and blended in batches. (remember when turning on a blender with hot liquid; place a dish towel on top of the blender in case any of the hot liquid seeps out. You want the broth to be smooth and a light yellow color. Pour the soup back into the pot on medium heat and add the poblano chili. Simmer another 10 minutes then add the zucchini and corn. Cook until zucchini is tender another 3 to 5 minutes. Then cut 7 more squash blossoms into ribbons and add into soup pot. Cover and remove from heat. Season with salt and pepper to taste. To serve cut the remaining squash blossom into ribbons lengthwise and garnish soup. For more color add parsley to the top. *To prepare poblano chili. Turn on broiler. Place poblano on oven rack and turn every 2 to 3 minutes until charred and blistered all the way around. Place in a small paper bag, seal tightly and let sit about 10 minutes. Remove the charred skin. It should come right off. Make a slit down the side of the pepper and remove the seeds and veins. Thanks Liz, yes I been having fun with squash blossoms this summer, they really are delicious! Squash blossoms are so special, and I love what you did with them here! This soup sounds delicious with those poblano peppers! Thanks Marcie, this is the first time I ever made soup out of them. Thanks Tandy, hope she enjoys this! I have seen lots of recipes with squash blossom recently, but I have not seen any here in the UK. I would love to make something with it. Hi Dannii, we were lucky to find some at the market at that time of day, they are usually one of the first things to go. Thanks! Wow! I've stuffed a million of those blossoms but I've never 'souped' them. 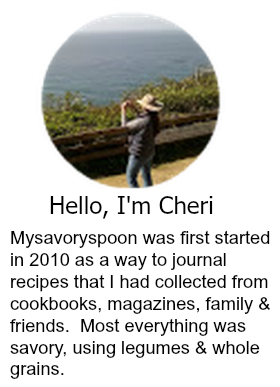 Clever soup, Cheri! It looks great. Thanks Maureen, it was delicious! What an unusual soup! It sounds like such a treat. I have never cooked with squash blossom (not even sure I've had it...maybe at a restaurant) but I've got to learn and see how you prepare it. Thanks for the inspiration! Hi Monica, you will not be disappointed they are delicious. Thanks for stopping by. OMG this looks amazing !! We love zucchini blossoms and look forward to eating them this time of year but never thought of making a soup with them.... Genius !! Thanks Anna and Liz, appreciate you stopping by. What a fun recipe! Never had anything quite like this, but love the idea. Really creative -- thanks so much. Thanks John, this is a keeper for sure. Thanks for stopping by. I don't see squash blossoms in our markets at all...the soup must be very delicious, Cheri. Thanks Angie, we were lucky this particular day they run out so fast. Oh my gosh, cherie, I really love this soup. I see squash blossoms and don't don't what to do with them other then stuff them. This is a great way to use them - and the poblano chile is a great addition! Thanks Susan, I love squash blossoms as they are summer at it's best. When I used to have a garden I grew courgette/zucchini, but didn't try cooking with the flowers. Which is such a shame as they didn't bear any courgettes! I've never tried those, nor squash blossoms. I bet they're really delicate in flavour. Gorgeous soup! Thanks Johnny, they really are delicate in flavor. Squash blossoms always look so beautiful, and I've had them quickly swirled through pasta before, but never in a soup! This dish looks wonderful. I can't wait until summer reaches our shores again and this soup is on the menu! That sounds like some pretty good pasta Amy. Take care! I love squash blossoms, especially when they're deep fried. But I've never tried them in a soup. How original! Hi Mike, I like them stuffed and fried too. Such a happy, summery coloured soup. We won't say no to a healthy, warm and comforting soup like this :). Thank you for sharing!! This looks absolutely delicious! I miss soups in summer so finding a light soup recipe is always a winner - thanks for this! Thanks Lucie, this was nice and light. I haven't gotten my hands on any squash blossoms this summer, and that is just sad! Going to have to check out the farmer's market this weekend..hopefully to make this delicious chili! Thanks Joanne, hope you enjoy it! Oh this soup looks so delicious!! Thanks Alicia! appreciate you stopping by. This sounds delicious, Cheri! Such an interesting mixture of ingredients. I love that you put poblanos in it. I bet it is so flavorful! Thanks Shari, it was pretty flavorful. I love stuffed, fried squash blossoms but this way to use them sounds equally delicious with the corn and squash! Thanks Susan, I love them stuffed and fried too, have a great week-end! 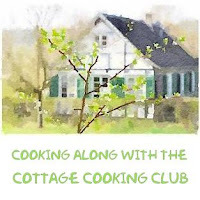 I have not cooked with squash blossom before, but see them a lot around the blogging sites. I love the soup, it sounds really tasty. Looks delicious Cheri. Thank you so much. Thanks Dena, hope your having a good week-end! Thanks Phi, if you do let me know how it turns out. Take care! This sounds so wonderful Cheri. I've never worked with squash blossoms before. What do they taste like? Hi Tricia, the best I can say is that they taste like a more delicate zucchini flavor. They are delicious. Squash blossoms are so pretty. And even prettier to the palate with the accompaniment of Yukon gold and poblano chile. Thanks Kim, it is a match made in heaven. This sounds like a delicious soup Cheri and so different. Will have to try the potato to take the place of cream. Great idea. This soup looks so delicious and comforting! Hi David, heard Phoenix had a haboob yesterday, the weather has been crazy. I can't believe summer is escaping so quickly. Yikes! Hi Robyn, yes of coarse you can make it. Take care! !